According to No7, upon the release date in early 2018 just over 17,000 people signed up to try their new Line Correcting Booster Serum! Want to get your hands on it, too? Use promo code BOOSTER3 and get $3 off! No7 provided us with these materials and information about their new product. There's a strong chance you've heard of the premium yet totally affordable beauty brand No7. Well, friends, they've released a brand-new targeted treatment that's been developed to treat troublesome lines and wrinkles. Introducing — drum roll, please — No7 Laboratories Line Correcting Booster Serum. *Based on No7’s 17-week clinical trial results around crows feet and under eye wrinkles. It's been formulated to tackle six key areas. Pop it on those frown and laughter lines, because the results could certainly put a smile on your face! And No7 has found that women who've used the product have seen results in as little as one week(! ), with a visible reduction in the appearance of lines and wrinkles on the forehead and around the eyes. 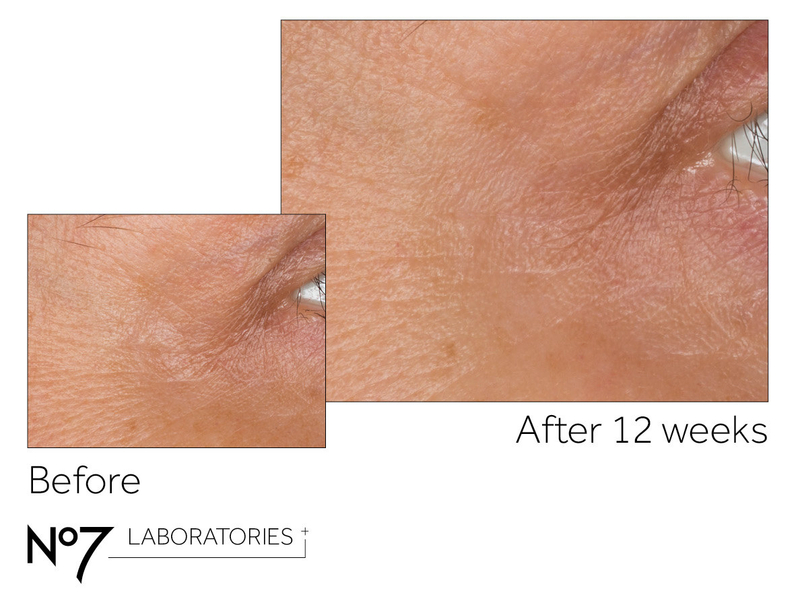 In two weeks, according to women surveyed by No7, they saw visible improvements in all six of the targeted wrinkle areas, including the forehead, crow’s feet, lips, between brows, under eyes, and laugh lines. This stuff seems to be the real deal — No7 stated that after trying out the product for two months, 76% of women who were considering injectables said the targeted treatment gave them better results than they thought possible. 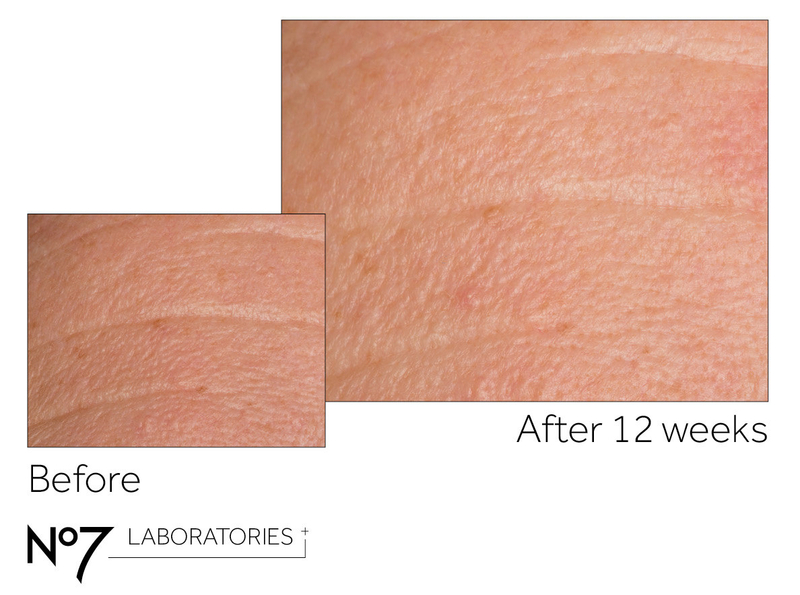 Those same women even said injectables could now wait, and you can see why — look how incredible these results are! "📣 Amazing results post!!! 🚨Finished my entire #No7Laboratories #LineBoostingSerum.... before I started, and after!!! My forehead looks and feels so much smoother now. 🙌 "
Feeling like trying this out for yourself? Of course you are. Well, you can snag yourself some from Target for just $41.99! Less than $45 for younger-looking skin? Sign us up! And why not up your skin-care game another level with a simple three-step routine. No7 recommends you use this trio for even better results. Psst! You can grab all these products together at Target too. To see what all the hype is about, try No7 Line Correcting Booster Serum for yourself. And use code BOOSTER3 for $3 off!